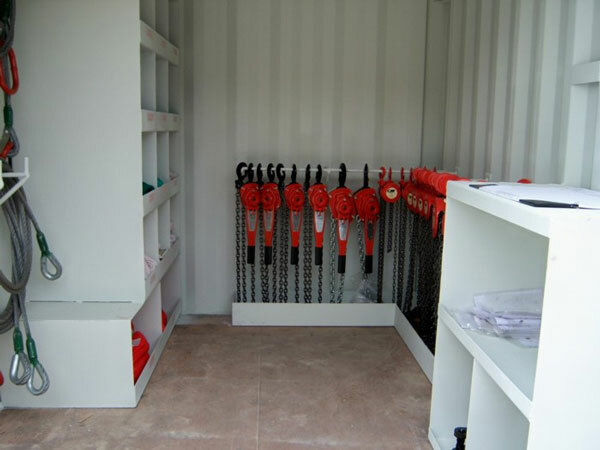 Maintain a clean and organized work station with Morgan City Rentals certified rigging containers. For any project, a well-organized job site boosts productivity and safety. 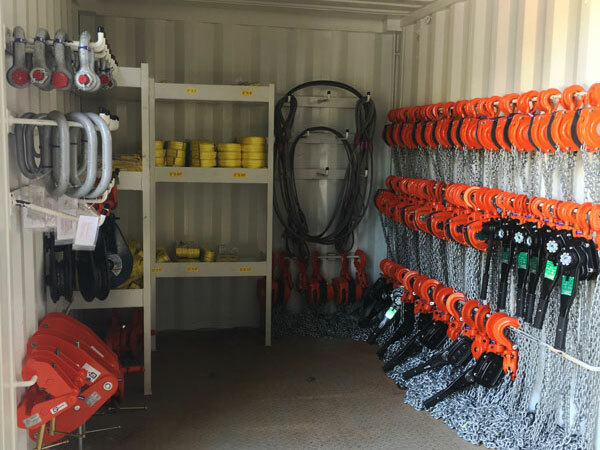 These certified rigging containers provide storage bins, racks, and hooks for tools and rigging equipment for the job site. Each item is easily and readily available, traceable, and certified. Client does not have to carry inventory when job is completed. Morgan City Rentals supplies offshore rigging containers that offer a complete mobile warehousing solution. Our Offshore Containers with double door are designed, manufactured and tested in accordance with requirements of the latest editions standards and regulations. Our offshore rental rigging containers are custom designed to meet your requirements. 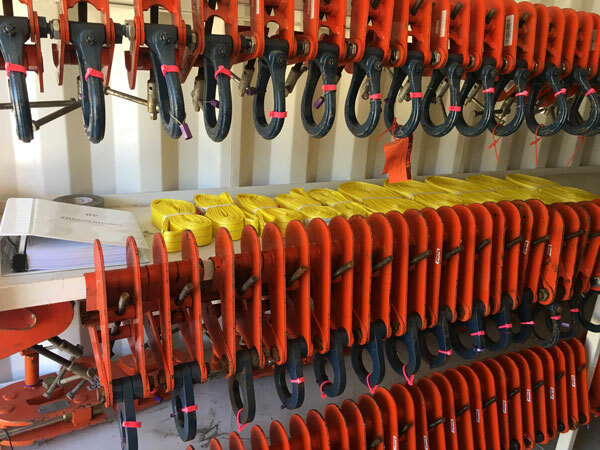 Containers are fully stocked with certified lifting equipment and rigging gear, and we ensure sufficient stock levels are maintained. What is an Engineered Certified Rigging Container? Connex Box Modification for Lifting: Structurally Enhanced Shipping Container modified to BSEN-12079 Standard. Each corner must be opened up and boxed to build pad eye base using the appropriate material. The preferred style of pad eye is to be recesses into the base. Weld pad eye material into the box using the appropriate material in the configuration that each pad eye is facing the central lifting point. Modifications must be made to the ceiling of the box using the appropriate material in an “X” configuration to help support the pad eye load. All welds should be welded by using flux core wire. All materials being welded should have the appropriate bevel at the connecting point to achieve the proper amount of penetration. Floor and underside structure will be load tested at the same time as the pad eyes and unit to ensure sound construction.